After Doom, there was no FPS genre. Nope -- every game that came after was a "Doom-clone", and there were a deluge of crappy games in that post-Doom area trying to capitalize on Doom's success. Games like Redneck Rampage, Shadow Warrior, Chex Quest, Corridor 7: Alien Invasion, Prime Target, and hundreds more budget titles lost to time. There's a certain janky charm to early '90s Doom rip-offs, and Harmony aims to replicate that charm completely. 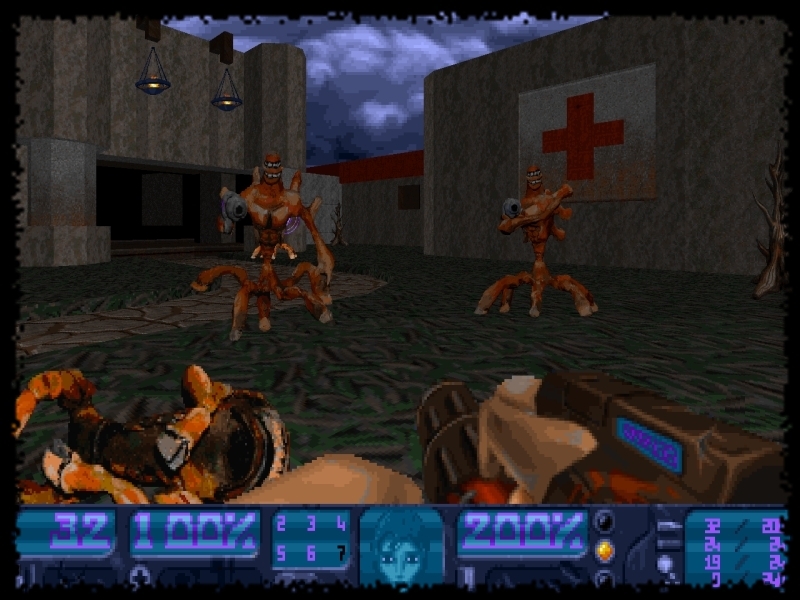 Yes, Harmony is another cool total conversion that doesn't look anything like standard Doom. Instead, it looks like a Doom rip-off. The enemies and weapons are all new -- and even better, the enemies were created using actual models and digitized into the game to truly replicate that almost-Claymation early 90s aesthetic.